Rudistid bivalves (also known as rudists) are among some of the more unusual (aberrant) bivalves (clams). 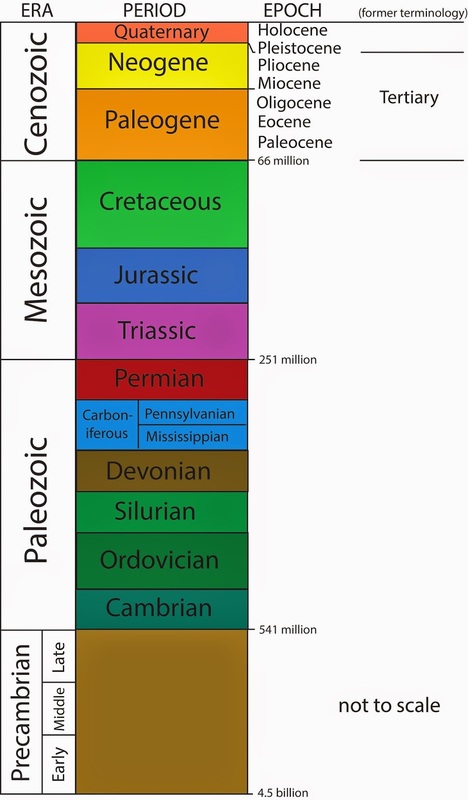 They are of Late Jurassic to Late Cretaceous in age (see time diagram at bottom of this post) and had widespread distribution in equatorial (tropical) areas. They were gregarious, and their shells were closely packed together. At many locales, their abundant shells commonly formed thick beds (biostromal accumulations). As shown above, the lower valve (right valve) of a rudistid belonging to genus Coralliochama has the form of an elongate thick-walled cone. 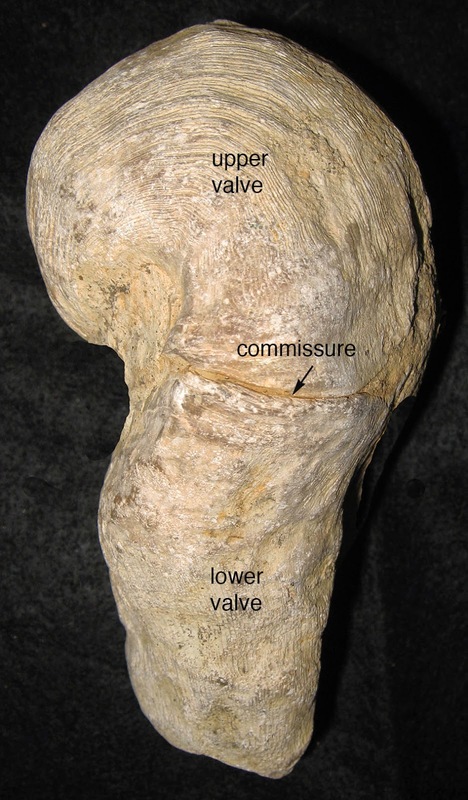 The upper valve (left valve) is reduced to a domed structure. The commissure is the line of junction of the two valves. 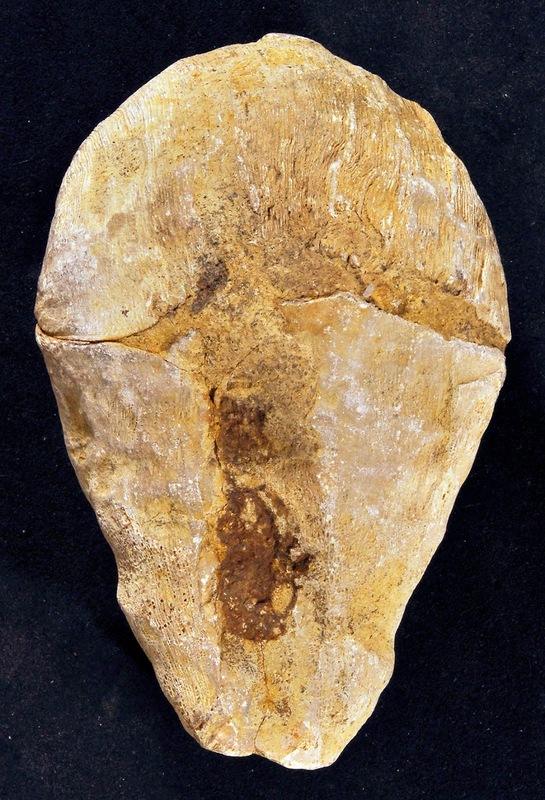 The following picture is of the same specimen as above but shows the front of the bivalve. This specimen is of Late Cretaceous age (approximately 72 million years old) and is from northwestern Baja California.